The Big Cloud Z12 200W Mod features a nicely lite OLED screen for pin point temperature control. Included comes USB - micro charger to recharge batteries and upgrade firmware.Get your Z12 200 with your choice of RDA or Tank at checkout! KBOX is here people, we have the latest 200 Watt kbox mods available in your favorite colors. Buy vape pens for sale from us at low costs and amazing customer service. We pride ourselves on quality service to our customers for all of their vaporizer needs. We know that finding a box mod can be tricky because there are so many. Here at Big Name Vapes we have set our site up to be as simple as possible. When checking out you will be able to add a atomizer from our list. All box mods have 510 threading so there won't be trouble with attachments. 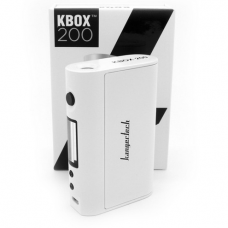 This 200W box mod for sale is one on high demand that a lot of customers enjoy. Big clouds and a big battery is all you need.